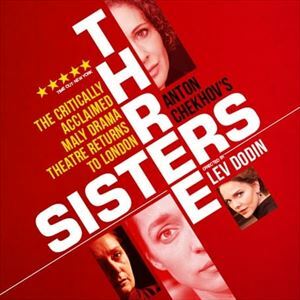 Following a critically acclaimed West End Season at the Theatre Royal Haymarket last year, with their productions of Uncle Vanya and Life & Fate (Critics Choice The Guardian, Financial Times, Telegraph, Sunday Times), the Maly Drama Theatre of St. Petersburg returns to the West End with this luminous retelling of Chekhov's masterpiece, Three Sisters. Under the artistic directorship of Lev Dodin - one of the most celebrated theatre practitioners working today - the Maly Drama Theatre of St. Petersburg has become one of the greatest theatres in the world. During his 35-year tenure many of Dodin?s shows have won international awards including state prizes of Russian and the USSR, Golden Mask Awards and a Lawrence Olivier Award (Becoming the first international company to do so for Stars in the Morning Sky, 1989). In 2000 he received the European Theatre Award.